This plant needs work! 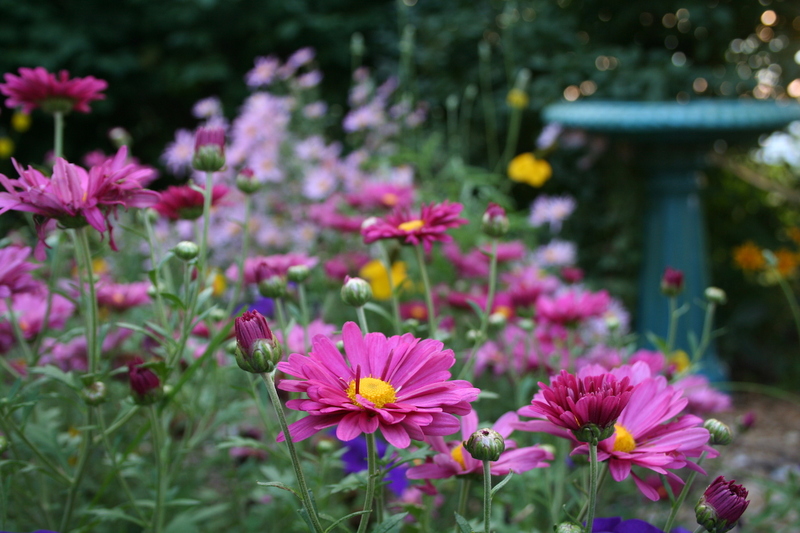 Here’s how to revive a really root-bound perennial. If you come across a plant that looks like this…do not plant it right away. The specimen at left is the root ball of a Mammoth™ mum I purchased at a grocery store recently. 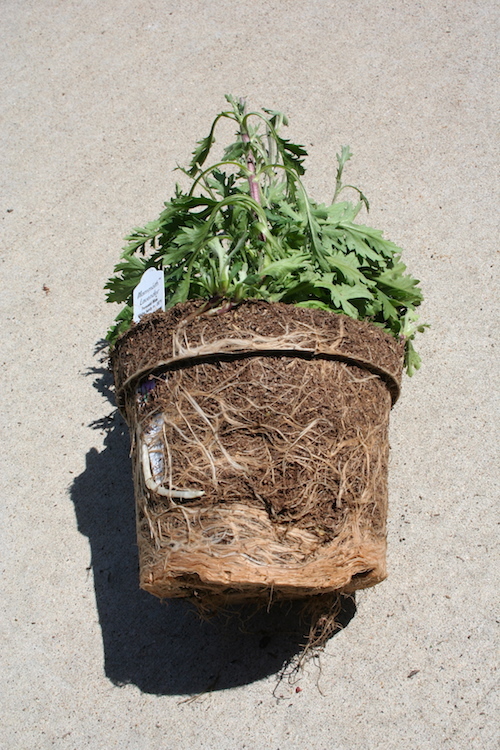 Mammoth mums are a newish variety out of the University of Minnesota that reach a size of 3 feet tall and 5 feet wide by the end of their second season. I’ve had visions of a row of Mammoth mums along one side of my driveway for a couple of years but have never found them in the stores in spring — which is when this variety is best planted. So, when I saw the grocery store had Mammoth mums — and at a pretty good price — I bought one with the idea of trying it in a back garden before investing in a row of them. After buying the plant, I got involved in a rather mammoth move of my college-age daughter, which required two trips to Chicago within two weeks of each other and way more stairs than I want to count. (Note to self: Discourage young adult child from renting fourth-floor walk-up apartment, unless professional movers or strong men are involved.) As a result, the plant sat in my holding area for longer than it should have. The root ball was probably bad enough when I bought it, but after two additional weeks in the pot, even with regular watering, it was a tight, dry mess and clearly needed some work before planting. I’m not sure that this is the official method for loosening a super tight root-bound plant, but it’s what I’ve done in the past. After removing the plant from the pot, I set it in a wheelbarrow with water up to the top of its dirt. I added a little fish emulsion and let it sit for about 30 minutes. Longer probably would have been better. While the root ball soaked, I dug a hole wider and slightly deeper than the plant and its dirt. With the root ball thoroughly sodden, I ripped the tight half-inch or so of roots from the bottom and discarded the clump. Then I plucked at the roots that were left, pulling as many out and away from the plant core as possible. After this root pruning, I planted the mum, firmed dirt around it and poured some of the fish emulsion water in the area. Mammoth mums have had a somewhat tumultuous history on the plant market, but I’m hoping that this one will grow well and in a couple of years, I can plant my driveway row.